If your Chromebook has been updated to Chrome 64 then you should see this new option in Files. There is no flag to enable or any other settings. 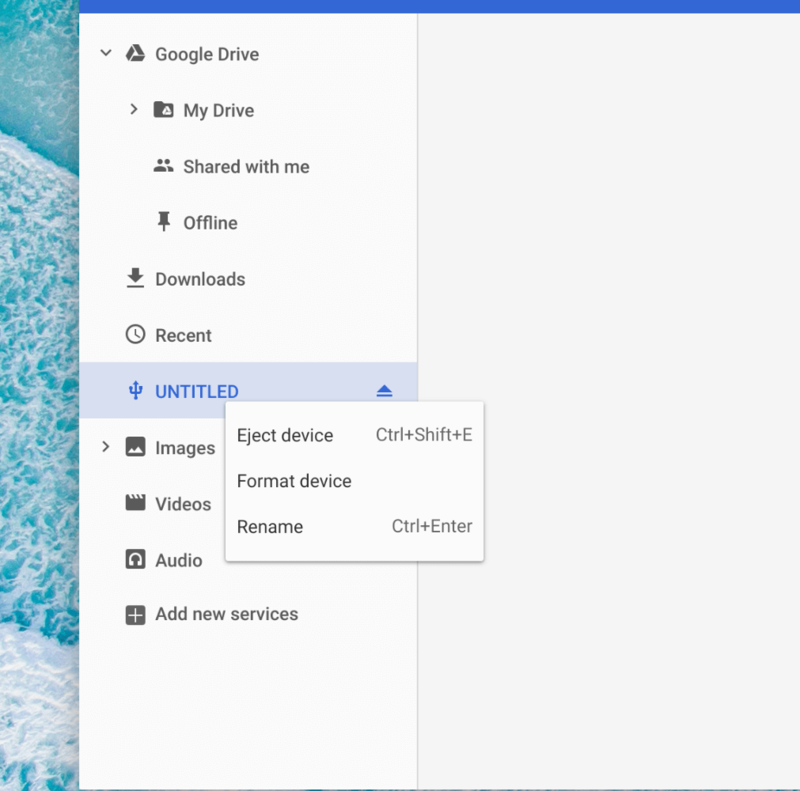 The ability to rename external drives has been a long requested feature of Chromebook users along with the ability to encrypt the drives. While the later is still not an option, and there appears to be no commit for it, at least now you can rename a drive to something other than UNTITLED. I should also note that you are limited to 11 character names for these external drives.